Now that we are back from our short yet very fulfilling stay in Estonia , I am sure that all of us have had time to get our work in order and to think about our time together. On a personal note, returning back home was difficult. Two days upon arrival in Athens , I went off for two days to the monastery I serve to celebrate the take leave of Easter and the Ascension of our Lord. Again, we had regular weekend services, lots of work with patients seeking help and preparation for the International Conference for Pastoral Health Care of the Ecumenical Patriarchate which is to take place in Rhodes this coming October. Then came the Sunday of Pentecost, which is a three day celebration followed by another full week. It seems that only now things are evening up a bit. In all this work, the long sunny days of Estonia remain in my mind and heart, full of the brightness of the smiling faces at our Consultation. Our dearest Sten Lundgren wrote me that when he heard the laughter coming from the tables at the formal dinner, he knew that people where beginning to find each other as persons . I totally agree. As I stated at the conclusion of the Consultation, one of the main goals, if not the main goal, of the Network is to build relationships. All the presentations concerning end of life issues stressed this point: that what is important in every aspect of care is that of personhood as it is cultivated in relationships, beginning foremost with ourselves. The brightness and warmth generated in our “ Tartu experience” was brought on by our host, Naathan Haamer. For those of us that have known Naathan throughout all the years of his participation in the EHNCC since the 2002 Consultation in Finland, his glowing personality, genuineness and givingness and has been essential in the growth of the Network. The Tartu Consultation was a full expression of his personhood . Naathan, I would, in this formal way like to once again personally thank you, on behalf of all the participants, for all that you did in organizing our Networks 10 th Consultation. Your efforts built a great step in European health care chaplaincy. Together with you, we were able to rejoice in qualities that abound in all of your family (your gracious wife, Anu, your loving children and your talented brother, Siimon), together with your energetic and hospitable team of co-workers. But this tree of joy could not bear any other type of fruit, being that it is rooted in your father, The Very Rev. Eenok Haamer, Rektor of the Tartu Academy of Theology. On behalf of all of those that participated in the Estonian Consultation, I assure those who offered their warm hospitality that you all will be in our prayers for ever. Here, I would also like to thank you, Nathaan, for the gift you presented me of the icon of Christ on a banner. When you presented it, I must admit that I felt very small, unworthy and speechless before such a great expression of love. I assure you that I will cherish it, along with the memories of you and yours, all of Estonia and all those present at the Consultation for the rest of my life. It will take up a special place in my home and in my heart. The Estonia Consultation would have not been possible without the hard work and cooperation of the members of the Network Committee. Those that will be leaving the Committee will be Kirsti Aalto and Anne Vandenhoeck , two participants of the ENHCC that have played a vital role in its development. Kirsti has been one of the founders of the meetings of health care chaplains since 1990. She has served on the Network Committee since the Cretan Consultation. Her presence and dedication, her firm convictions about the need to foster chaplaincy and interpersonal relations amongst chaplains stems from her care and concern for each participant of the Network. She will continue to represent us in the Working Group on Bioethics and Biotechnologies of the Church and Society Commission of CEC. In addition to this, she will remain a close advisor to us all. Kirsti, although your term is over, we will continue to need your personal impute and, foremost, your loving care. Anne Vandenhoeck has served on the Committee since the Dublin Consultation. She has accompanied me to all the meetings within the framework of the EU and hosted our committee meeting in Leuven, where we prepared for the Estonia gathering. She officially represented us at the 2005 Conference of American Professional Chaplains in Arizona . Anne's deep knowledge of spiritual health care, her educational and administrational skills, together with the cross-national and cultural experience she obtains will, I am sure, continue to be beneficial and most promising for the Network in the future. She will continue representing us Brussels in developing relationship with CEC and our continuing efforts in the EU Commission. Fr. 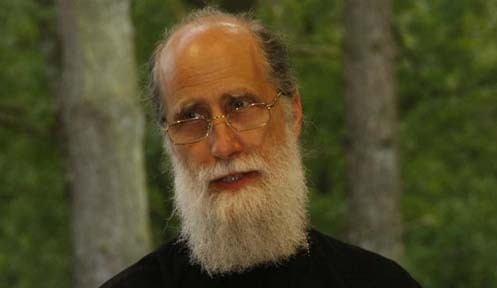 Edward Lewis of the Church of England, who served on the formal Network Committee, will be one of the organizers of the upcoming Conference in England in 2010. Since 2002, Fr. Edward's dedication to the ENHCC has been a cornerstone in our development. His enthusiastic proposal to have the our 10 th birthday organize by the Church of England, the Health Care Chaplaincy of the Free Church and the College of Chaplains was well received. As was decided, Rev. Debbie Hodge of the Free Church will represent the organizing committee on to the Network Committee. There is now doubt that the cooperate efforts of these great chaplaincies will prepare the most fitting celebration for this event. Together with Debbie, I welcome Axel Liégeois of Belgium and Anneke Kemper from the Netherlands on to the Committee. Axel, your academic and practical experience will be a breath of fresh air for us all. Anneke has served in the past on the Committee and is well aware of the many facets of spiritual health care, particularly on a multi-cultural level. Anneke, I can sincerely say that it is good to have you back on board. Three other cornerstones of our Network will remain on the Network Committee. Two served on the committee: Fr. Nuno Ferreira da Silva of Portugal and Dana Kalnina-Zake of Latvia . Their experience and commitment will continue to help in paving the road toward the future. Also remaining will be our webmaster, Rev. Fred Coutts. Without Fred, this Network would not be possible. After each consultation I am amazed how Fred keeps up with it all the way he does. I could not think of coordinating the Network without him! Now that we are back, work must begin. Our first step is to begin the process of becoming Associates of the Commission of Church and Society of CEC. The next step is to renew our connection with the Commission of the EU. Our third step is to enhance sharing amongst ourselves. In October, during the Conference of the Ecumenical Patriarchate mentioned before, I will have the chance to meet with a representative of the Pontifical Council for Health Pastoral Care . This will be a contact that has been so desired. In closing, I would like to restate my personal commitment to all of you. Your decision for me to continue for another two years as coordinator of the ENHCC left me with two feelings: the feeling of unworthiness and the feeling of great responsibility. I am moved by the confidence you continue to hold in me and I assure you that I will give all that I have in building and developing our Network.